Working on this tool for more than a year it cover all the aspects that are expected from a Kanban tool.Some of the feature are really unique and standout from the other products.The tool exceeds our expectation in many ways and would definitely recommend more people to use it.Playback option is very unique and only tool providing the same. The analytic provides a complete set of the components required to check the board progress. UI is sleek and easy to understand. Playback option is very unique and only tool providing the same. The analytic provides a complete set of the components required to check the board progress. UI is sleek and easy to understand. On-Premise installation is not supported on Docker kind of platform private trials such as creating separate env. using AWS marketplace is not available. SwiftKanban has the best-in-class visualization and analytics, "by the (blue) book"! We organized AgileCamp 2014 event using the kanban board recently. Mahesh Singh presented how they "ate own dog food" by using Swiftkanban to create this excellent kanban tool! The kanban analytics supported - flow efficiency, cycle time distribution - is by the blue book, as close as it can be to what David Anderson describes in the blue book! Kudos to Mahesh & team for producing SwiftKanban! Q. 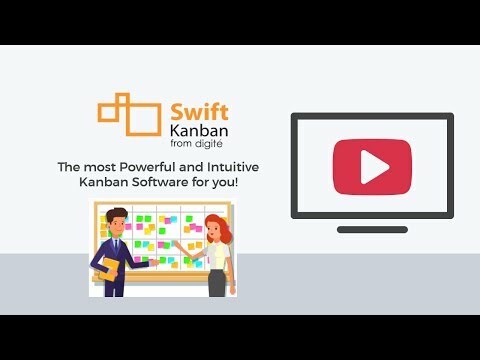 Does SwiftKanban offer an API? Yes, SwiftKanban has an API available for use. Q. Which apps is SwiftKanban compared to most often?